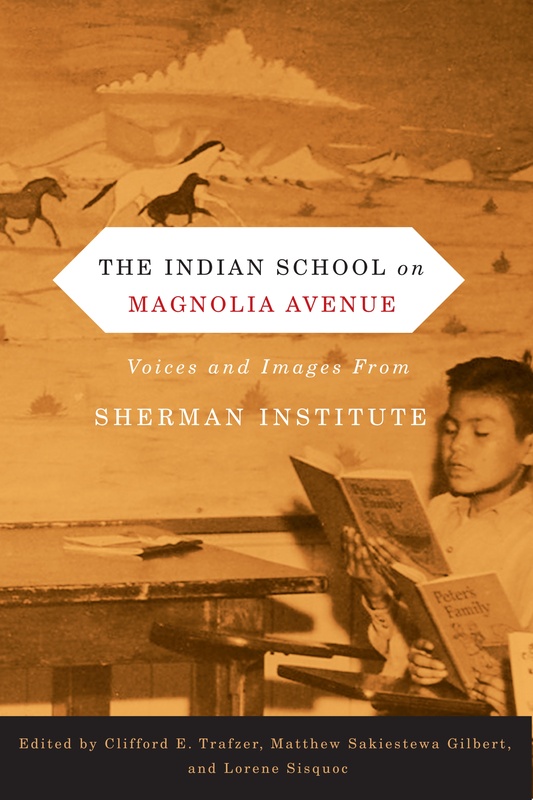 The first collection of writings and images focused on an off-reservation Indian boarding school, The Indian School on Magnolia Avenue shares the fascinating story of this flagship institution, featuring the voices of American Indian students. 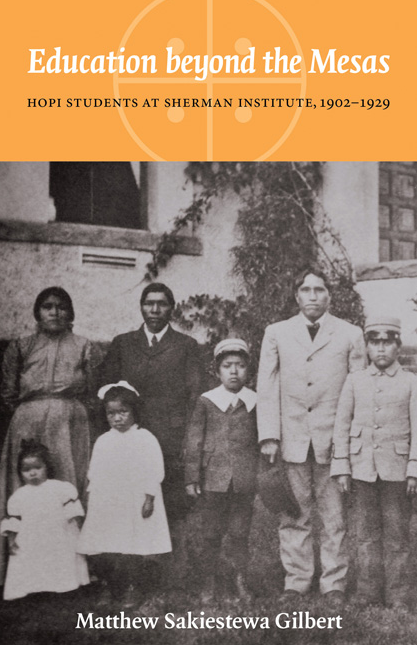 In 1902, the federal government opened Sherman Institute in Riverside, California, to transform American Indian students into productive farmers, carpenters, homemakers, nurses, cooks, and seamstresses. Indian students helped build the school and worked daily at Sherman; administrators provided vocational education and placed them in employment through the Outing Program. Contributors to The Indian School on Magnolia Avenue have drawn on documents held at the Sherman Indian Museum to explore topics such as the building of Sherman, the school’s Mission architecture, the nursing program, the Special Five-Year Navajo Program, the Sherman cemetery, and a photo essay depicting life at the school. 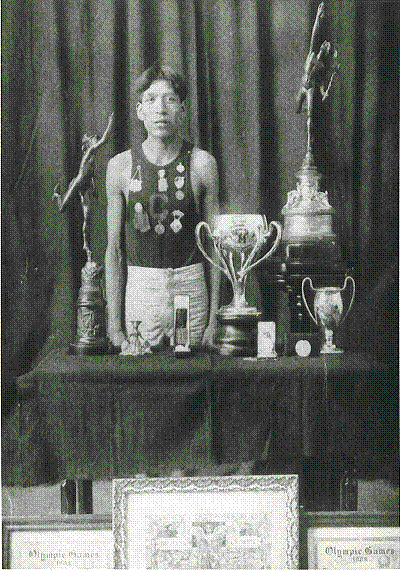 Despite the fact that Indian boarding schools—with their agenda of cultural genocide— often prevented students from speaking their languages, singing their songs, and practicing their religions, most students learned to read, write, and speak English, and most survived to benefit themselves and contribute to the well-being of Indian people. The Indian School on Magnolia Avenue will be of interest to scholars and general readers in the fields of Native American studies, history, education, public policy, and historical photography. 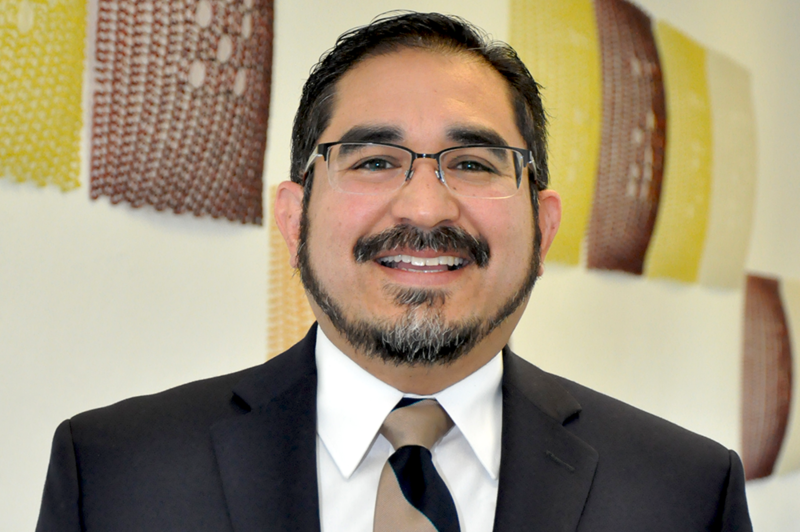 Clifford E. Trafzer (Wyandot) is professor of American History and the Rupert Costo Chair in American Indian Affairs at the University of California, Riverside. He has written and edited several books, including Boarding School Blues, Native Universe, and Death Stalks the Yakama. Matthew Sakiestewa Gilbert (Hopi), an assistant professor of American Indian Studies and History at the University of Illinois at Urbana-Champaign, is the author of Education beyond the Mesas: Hopi Students at Sherman Institute, 1902-1929 (University of Nebraska Press, 2010), and co-produced a thirty-minute documentary film on the Hopi boarding school experience entitled “Beyond the Mesas” (www.beyondthemesas.com). Lorene Sisquoc (Cuhilla/Apache) is Curator of the Sherman Indian School Museum in Riverside, California. She teaches Native American Traditions at Sherman Indian High School, and is a co-editor of Boarding School Blues: Revisiting American Indian Educational Experiences. I drove by the cemetery today.